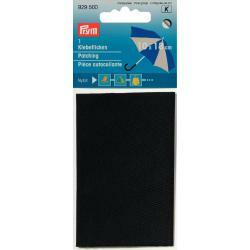 Self-adhesive and waterproof nylon repair patch for making quick repairs on clothing and gear. Good repair patch for clothing and lightweight gear. Can also be washed to some extent. Doesn't stick to silicone coated fabrics. The Cleaning Towel is an Easy solution for cleaning the surface for repairs. Available affordably in small and bigger batches. Only 3 pieces left in stock, after the stock is empty this product is not available. Only 5 pieces left in stock, after the stock is empty this product is not available. Only 6 pieces left in stock, after the stock is empty this product is not available. Only 13 pieces left in stock, after the stock is empty this product is not available. Only 18 pieces left in stock, after the stock is empty this product is not available. Only 7 pieces left in stock, after the stock is empty this product is not available. Only 8 pieces left in stock, after the stock is empty this product is not available. Only 4 pieces left in stock, after the stock is empty this product is not available.